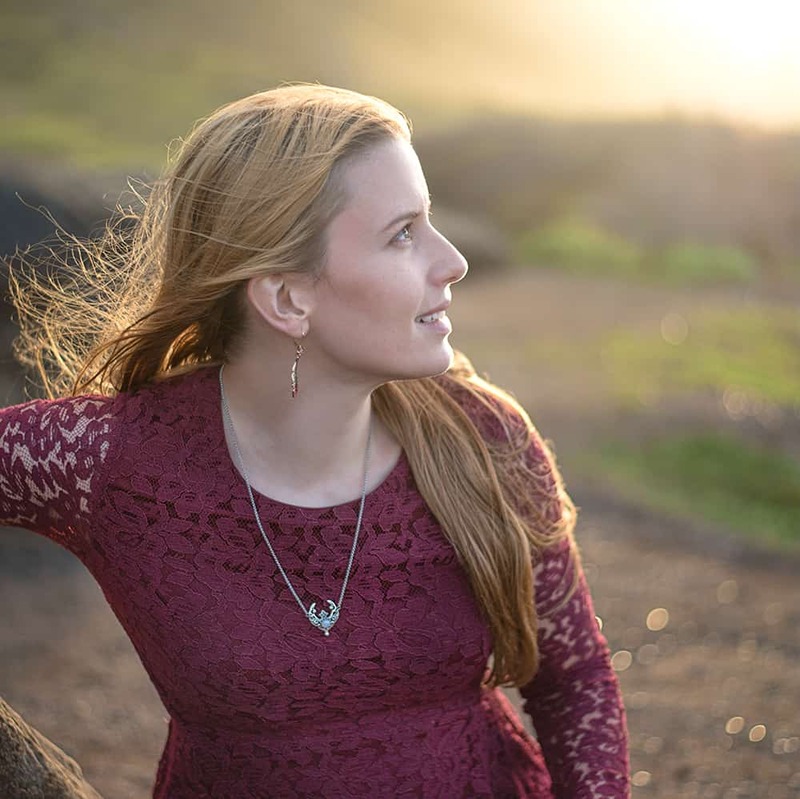 You know how I like to share tutorials for products I make and sell? Well this was something I was considering making for sale, but then I decided not to. 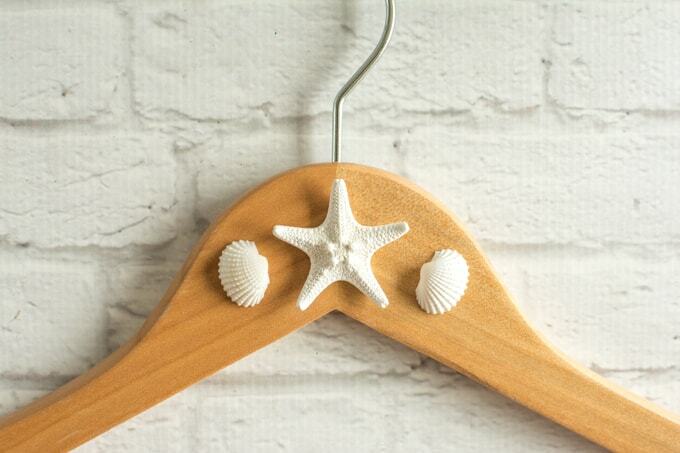 I really love this beach wedding hanger, but packing it safely and shipping it from Hawaii proved problematic. 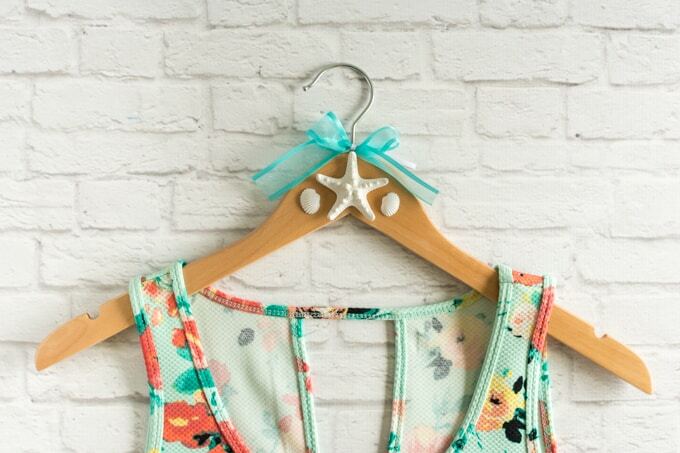 It’s such cutie, though, and perfect for bridesmaids and flower girls (or laid back brides like I was! 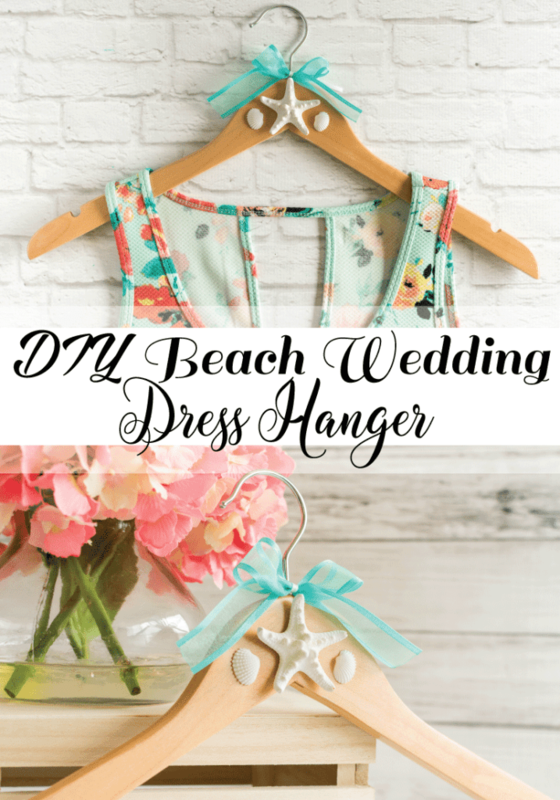 ), so I decided to share this tutorial for a DIY beach wedding hanger. It’s quick and easy to make and so cute! That’s it! Super easy-peasy. If you wanted to make these for an entire bridal party, it would be an easy project to knock out in one evening. 1. Test fit your shells/starfish to make sure you know where you want them before gluing. Once you’re happy, glue them in place. 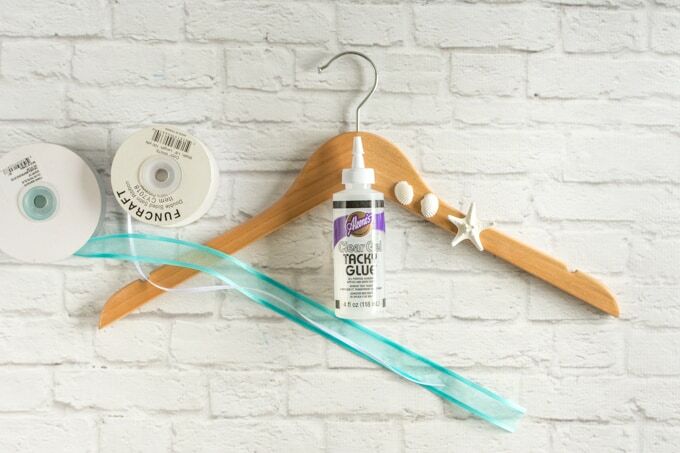 If you’re not using hot glue, let the glue set for at last half an hour before you start moving the hanger to ensure the shells don’t slide around. 2. 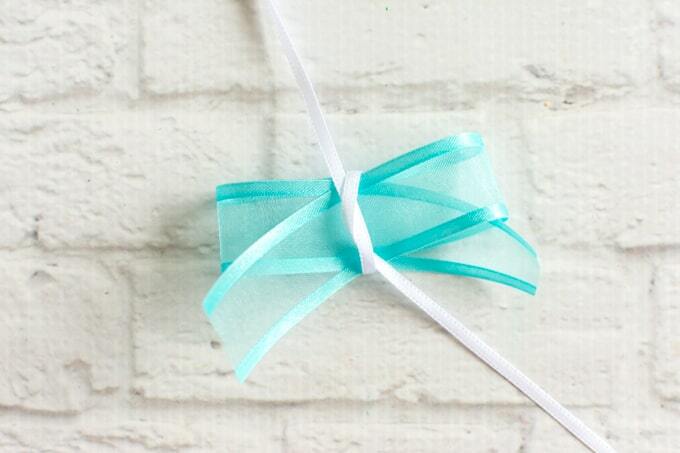 While the glue is drying, make your bow! I cut a shorter piece of ribbon the example to make it easier to see, but you’ll want to cut at least 12″ of ribbon. I recommend cutting about 16″ of the wider ribbon so you can have pretty tails, like in the final example. 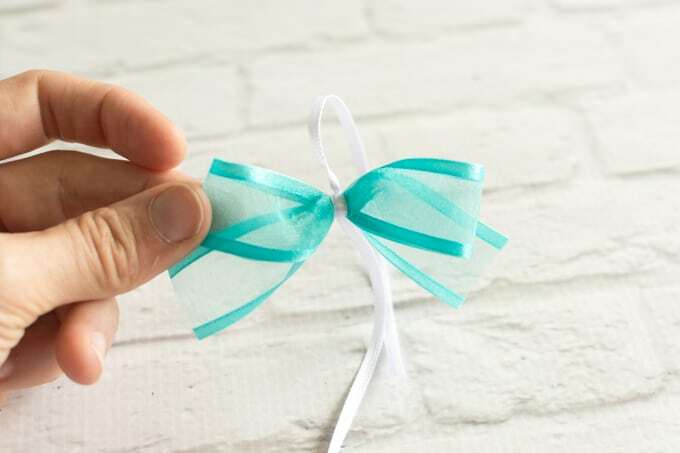 It’s way easier to trim extra off than it is to make a whole new bow when the ribbon is too short! Cut about 10″ of the narrow ribbon to make it easy to work with, but you’ll be trimming it down, too. 3. 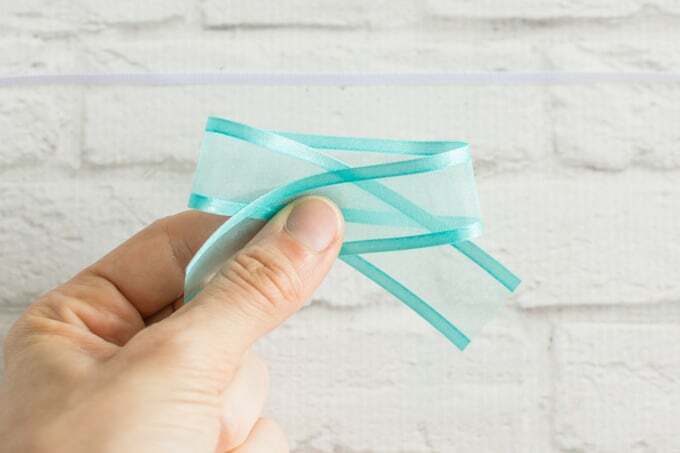 Fold your large ribbon over itself, as shown. Try to make the two tails fairly even in length. 4. Pinch the ribbon together so all three layers of ribbon are stacked in the middle. 5. Loop the narrow ribbon around the wider ribbon at this stacked midpoint and do a simple knot, like you would do before tying your shoes. 6. Cinch down and tie a second knot to form a secure square knot. 7. Voila – you have a bow! 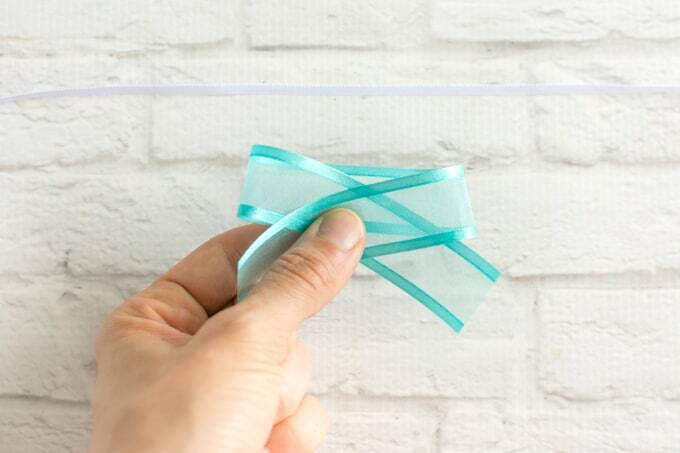 Just fiddle with the ribbons a little bit to get it exactly how you like, then tie it tightly around the metal portion of the hanger. I also like to secure the bow with a dab of glue to make sure it doesn’t slide around. Trim the short ribbon, as desired, but make sure to leave at least an inch to ensure the knot doesn’t come untied. I keep thinking of these as perfect for a beach wedding, but I’m sure there are plenty of other uses! 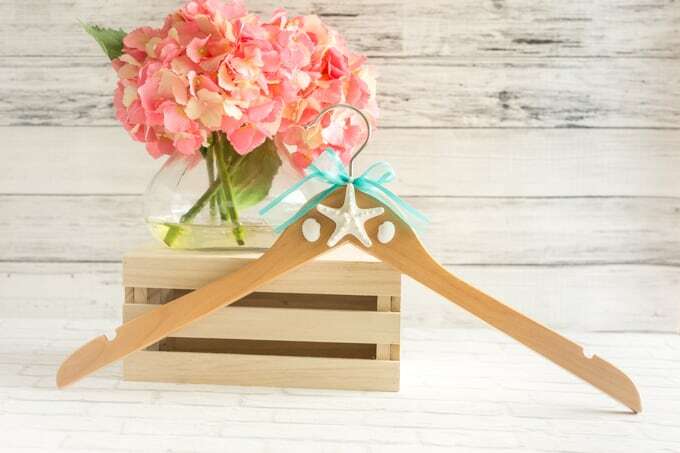 Have you ever made or used a decorative hanger for something other than a wedding? These are so cute! Wedding/bridesmaid dresses would look so fun on these! Great photo op! Thank you! I think they’d be cute in a photo, too. I wish I’d made one for our wedding!